Malakal Technical Intermediate School, 1964/68. Nyala Technical Secondary School 1968/72. Khartoum Technical Institute, 1975 with Diploma in Electronics Engineering. Engineering Services Department, Ministry of Information Omdorman, 1975/77. College of Nuclear Studies and Electrons, University of Alfateh Tripoli Libya, 1978/80. The Printing Press, Saudi Arabia Airline, Jeddah 1980. Establishment of the Buffalo Safari Company, Juba 1981. Private business, Zaire (DRC Congo), 1986/91. Servicing electronics equipments, Kampala Uganda, 1991/95. Director of Transportation, Al-Hamudi Transportation Company, Kenya, 1995/96. Co-Installing Radio Transmitter and Studio in the Nuba Mountain, September 2002. Running Radio programs for Nuba Radio for ten days, December 2002. Self Employee, servicing electronics equipments, installing Satellites receivers and translation work, Nairobi-Kenya, 1996/2009. 1- Registration of patent No: KE226 by title "External Magnetic Field Production and Propulsion Mechanisms". At Kenya Industrial Property Institute on August 31, 2006 -Nairobi, Kenya. Member of the United Patriotic Front, Khartoum-Sudan, 1982/85. Member of Sudan People Liberation Movement (SPLM) 1991. Member of National Democratic Alliance (NDA), Kampala, Uganda (1991/95). Secretary General, Association of the Sudanese Community, in Uganda 1994/95. Member of NDA, East Africa Brach, Nairobi Kenya, 1996/99. Secretary General of the New Sudan Islamic Council (NSIC) 1996/99. Chairman, New Sudan Islamic Council (NSIC) 1999. 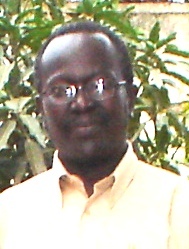 Chairman, South Sudan Islamic Council (SSIC) 2005. On November 15, 2007, and after nearly four years from SPLM signing the Comprehensive Peace Agreement (CPA), and after continuously ten months in Juba, struggling to establish the Human phase of Islamic Religion in South Sudan, with many imaginable and unimaginable factors, all of which had forced me to resigned (English-Arabic) from Chairmanship of both SSIC and NSIC, and SPLM Membership. Service Training in computerized typesetting Machines, Monotype International Salford-UK April-July 1977. 5th Pan African Congress, Kampala Uganda, April1994. Nuba Mountains Education Workshop, Kauda- Nuba Mountains, New Sudan May 1999. Pan-Sudanese: North-South Civil Society Consultation, Entebbe-Uganda October 6th – 10th 2004. Conflict Resolution Workshop, Entebbe-Uganda, 30th March, 1st April, 2005. Sudanese Civil Society Legal Experts Consultation "Sudan Interim Constitution and the Right of Minorities' Nairobi-Kenya, April 2005. Interfaith Platform, New Sudan Islamic Council (NSIC) and New Sudan Council of Churches (NSCC) Yei, Sudan, April 27-28, 2005. Interfaith Consultation on Justice, Peace and Reconciliation, between New Sudan Islamic Council (NSIC) and New Sudan Council of Churches (NSCC), Jinja, Uganda, August 29 – September 3, 2005, with a paper about Social Peace in the Islam, and the Post war Sudan.